It doesn't take long to realize that Charles Woznick is the right man for the job. 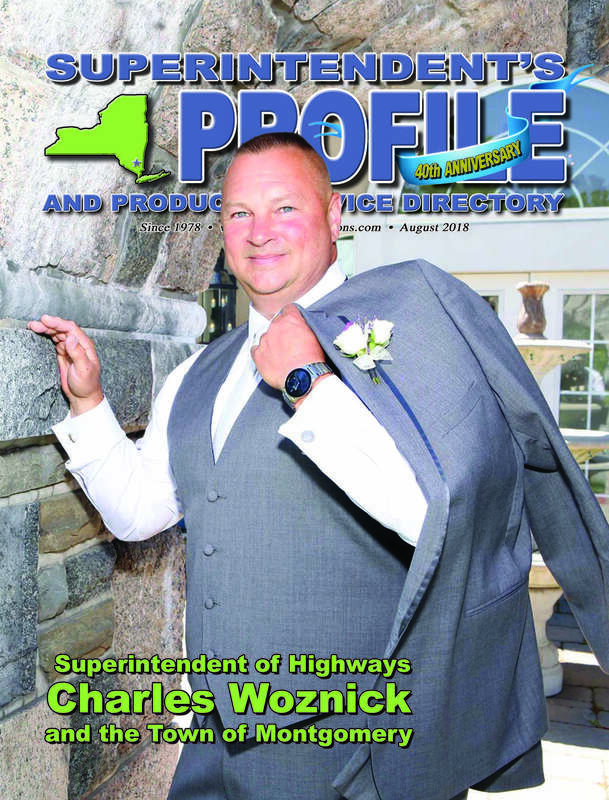 Comfortable in his own skin, he exudes confidence as he tells how he serves as the superintendent of highways for the town of Montgomery, the fire commissioner for the Maybrook Fire District and an Orange County fire investigator. So how did he end up here? Charles fondly remembers his first day on the job. Now, 15 years into the job, is it everything he expected? 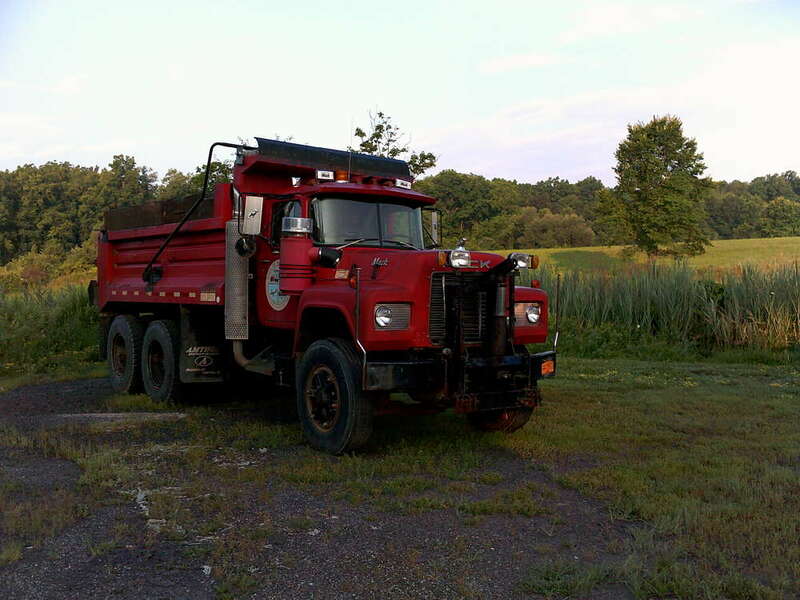 Here is Charles’s first Mack tandem dump truck (1988) that he drove for 10 years and which is still in operation. Married to his wife, Jennifer, for two years, Charles has two sons, Charles Jr., 33, and Tyler, 31. He also has two step-daughters, Alyssa, 17, and Alexis, 13, and five grandchildren: Shane, 9; Victoria and Coltan, 6; Wyatt, 4; and Lilliana, 2. What does Charles like to do in his spare time? He's also a member of the Orange County Volunteer Firemen's Association (Past President 2004); Orange County Superintendent of Highways Association, Orange County Fire Chief's Association, NYS Association of Town Superintendents of Highways Inc. and the International Code Council. One of several new Mack Granite tandems bought in the past few years. The town of Montgomery highway department currently sets up shop in an antiquated main garage that was built in the 1960s. It's in desperate need of renovating. There are three buildings on site. “One is used for cold storage. There are 10 main bays in the lower garage and six in the upper one. We also have several pole barns. I have a small office at the shop and the main office is at town hall. As highway superintendent, Charles is responsible for maintaining the town's 140 miles of road, that includes 70 center lane miles, all of which are paved. That converts into 12 plowing routes that take two to four hours to complete. Charles' crew of 10 full-time and 2 part-time employees help him serve the town's 23,500 residents. Administrative staff includes Todd Page, deputy commissioner; and Anna O'Donnell, confidential secretary to the superintendent. Highway department employees are full-timers Shaun Meres, Blaine Petzold, Bradley Meres, Richard Malley, Christopher Sharpe, Jeffrey Stoddard, Patrick Manz and Michael Froelich; and part-time employees Michael Snyder and Stanley Henry. Two of those are mechanics. Anna O’Donnell is the confidential secretary to the highway superintendent, Charles Woznick. Under Charles' direction, the highway department runs on a total operating budget of $2,698,000 that includes salaries and benefits for employees and an annual CHIPS allocation of $142,836.57. Like most highway superintendents, getting money for new equipment isn't easy. “I put in for XYZ every year and every year but last year I get denied. They give me some money, but it's not enough for what we need to buy. 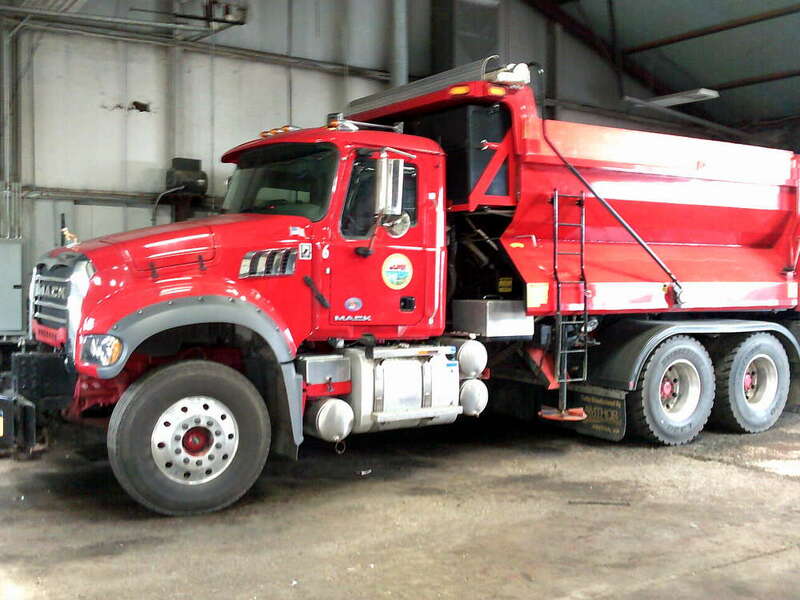 An average plow truck (I mean a big truck with a wing and a full-size plow with a combination sander dump) is anywhere between $190,000 to $230,000. I got a little more than $80,000 this year. They [the board] know how much they cost. They see the quotes. We try to keep our trucks anywhere between 12 and 15 years. We have three or four that needed to go a long time ago. It's just the way the industry is. Nothing's cheap anymore. We bought one of our Macks for $97,000 in 1988 and when we went to replace the same truck it was $220,000. Charles is quick to admit that he embraces today's new technology. Although Charles loves his job, it still can be exasperating. On the flip side, the job also can be rewarding. If he could wave a magic wand and change anything about the job what would it be? Montgomery is a town in Orange County, N.Y. It was named in honor of Richard Montgomery, an American Revolutionary War general killed in 1775 at the Battle of Quebec. The town of Montgomery is in the northern part of the county at the county line shared by Ulster County. Montgomery is immediately west of the town of Newburgh. It contains three villages, one also called Montgomery, as well as Walden and most of Maybrook. The early town began as a patent to Henry Wileman in 1710, who was the first settler. He was the first of a group of Palatine Germans to emigrate and settle land around what is now the village of Montgomery. The town was originally established as “Hanover” in 1772, but became the town of Montgomery in 1782. The community of Montgomery set itself off by incorporating as a village in 1810, and in 1855, the community of Walden incorporated also. Maybrook was the last village to incorporate, in 1926. Montgomery is bordered on the east by the town of Newburgh and on the north by the town of Shawangunk in Ulster County. The town of Crawford is to the west. The towns of Wallkill, Hamptonburgh and New Windsor, from west to east, border on the south. The village of Walden is located in the north central portion of town. Montgomery is close to the center, and Maybrook is in the southeast corner. There are no significant year-round settlements outside of the villages; there is a summer colony around Lake Osiris in the northern section of town. Some inhabitants of Lake Osiris have made it their permanent residence. The town's topography is generally level and low, except along parts of its eastern and western boundaries, reflecting the passage of the Wallkill River through it from north to west. There are large swamps in the south portion of town, some of them draining into the Otter Kill. Further north, the land becomes drier and more arable. It is mostly farmed, used for small residential subdivisions or left as undeveloped open space. There are a few exceptions: the business parks along Bracken, Neelytown and Stone Castle roads and NY 208, several of the Valley Central schools, the large Shop Rite plaza on Goodwill Road and Orange County Airport. Two areas along the river have been set aside as parks. The county's Winding Hills Park is partially within Montgomery, as are portions of two larger state-level protected areas: Highland Lakes State Park and Stewart State Forest. The Thomas Bull Memorial Park, which expands more than 719 acres and is the second largest developed park in Orange County, is named after a sympathizer to the British during the American Revolution. The Wallkill River is the town's major watercourse, flowing through it from south to north past both the villages Montgomery and Walden, also partially serving as its border with Hamptonburgh. Two of its tributaries flow through Montgomery as well. The Muddy Kill, located entirely within the town, drains the area below the Comfort Hills in west central Montgomery. Tin Brook, the Wallkill's only major eastern tributary, rises just southeast of the town and flows north, then west, through Walden to drain into the river just north of the village. According to the United States Census Bureau, the town has a total area of 51.1 sq. mi. of which, 50.4 sq. mi. of it is land and 0.6 sq. mi. of it (1.25 percent) is water. The highest point in the town is the U.S. Geological Survey's Garrison benchmark at a corner of the Ulster County line on Kings Hill, at 820 ft. above sea level; this is also the highest point in the neighboring town of Newburgh, as well. The lowest elevation is 240 ft., where the Wallkill River flows across the northern town and county line. Montgomery calls itself “The Transportation Hub of the Northeast” from the days when the New York, New Haven and Hartford Railroad (later part of Penn Central) had a major presence north of Maybrook, and the Wallkill Valley Railroad (later absorbed into the New York Central) ran through Montgomery and Walden, connecting to the Erie Railroad mainline at Goshen. Nowadays the rail lines have been reduced to freight spurs or the Walden–Wallkill Rail Trail, and roads have taken over their role. Like most other towns in New York, Montgomery is governed by a five-member town board, consisting of the full-time town supervisor, in whom executive power is vested, and four councilmembers. 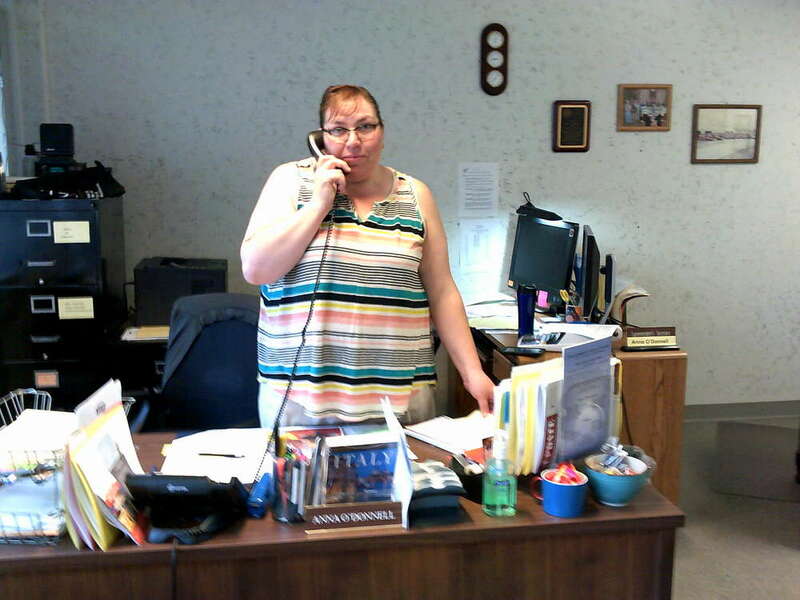 The town clerk, highway superintendent and receiver of taxes (essentially the town's chief financial officer) are also elected. All officials serve four-year terms except the supervisor, who is elected every two years. Elections are held in odd-numbered years. Before Michael Hayes was elected, Susan Cockburn, a democrat, was elected supervisor. She was the first female supervisor from out-of-area and was the first supervisor to have a professional degree. During her time as supervisor, she created a 24-hour police force and started the Boys and Girls club in that area. Michael Hayes was elected supervisor in 2007. Dan Dempsey, Mark Hoyt, Sherry Melnick and Cindy Voss have served as councilmembers together since 2009. All are Republicans. Three of the 21 members of the Orange County Legislature represent districts that include portions of the town. Chairman L. Stephen Brescia, also mayor of the village of Montgomery, represents District 9, which covers not only his village but Maybrook and the western half of the town. Walden and most of the eastern half of the town are in District 17, represented by Mike Anagnostakis. The northeastern corner of the town is in District 16, represented by Leigh Benton. They are also Republicans. In the state legislature, two more Republicans represent districts including the town of Montgomery. It is at the southern end of the 101st Assembly district, currently represented by Brian Miller. State Senator William J. Larkin Jr. represents the town as part of the 39th District.